Applications for the 13th Annual Lynchburg Citizens Academy are now being accepted through February 19. The Citizens Academy begins on March 3 and sessions will be held on consecutive Thursdays at 6:30 p.m. The Citizens Academy provides residents the opportunity to learn about City government through their free 12 session program. Register online or download the application at www.lynchburgva.gov/citizensacademy. A grant of $60,000 was recently awarded to the Lynchburg Office of Economic Development (LOED) and the Lynchburg Economic Development Authority (LEDA) through Governor Terry McAuliffe’s Virginia Community Business Launch Grant Program. Seven localities, including Lynchburg, received a $60,000 grant, totaling $420,000 statewide. 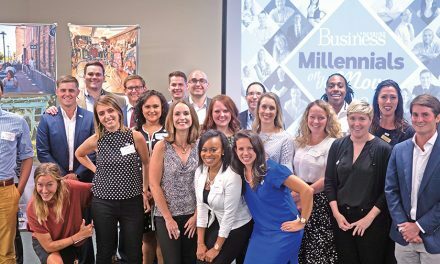 “This grant will support our efforts to connect small businesses and startups to service providers, seasoned entrepreneurs and investors, building a stronger entrepreneurial ecosystem in the City of Lynchburg,” Upshur said. The LEDA grant request includes four strategic components. One component is a web portal designed for local businesses and LEDA stakeholders. The portal, which will launch mid-2016, will be centered on interactive learning and building connections. It will also be able to connect users with potential customers, suppliers, investors, employees, and partners. The second component is Co.Starters, a nine-week program that helps aspiring entrepreneurs turn their business ideas into action. The first Co.Starters cohort in Lynchburg will begin March 8. Businesses that have completed the Co.Starters program and contribute their services to LEDA will be provided a 100 percent match for their donated service hours. LEDA is specifically seeking the donated services of a law firm, a marketing agency, an accounting firm, and a web developer. The fourth component is the Launched in Lynchburg Business Competition, during which $40,000 grants will be available to winners. The eligibility requirements include completing the Co.Starters program and opening or expanding a storefront in Lynchburg’s Enterprise Zone 2, which includes much of downtown. For more information about Co.Starters, visit www.opportunitylynchburg.com. 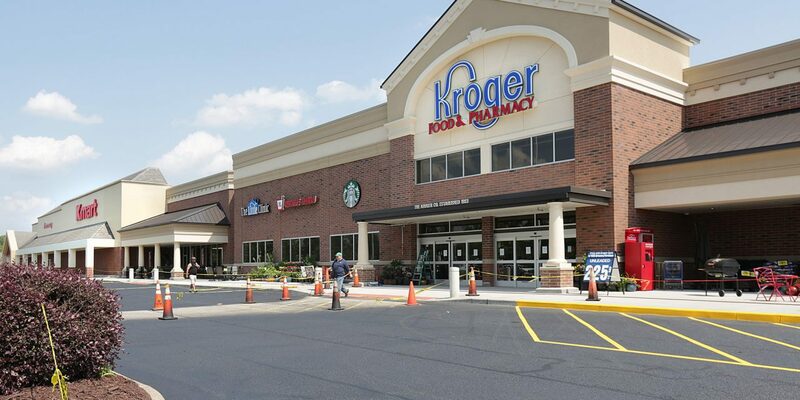 Kroger’s Mid-Atlantic is increasing the amount of locally-produced products that they carry due to the rise in customer demand. According to Natural Foods Sales Manager Susan Terry, carrying local products is a “win-win situation” because it is good for local farmers, producers, the community, and Kroger stores. Produce Specialist Duane Meyers, who was recently hired by Kroger, works with farmers and producers in the Southeast to help prepare their products for Kroger and make sure the needs of the stores are met. Once the products are ready to be sold in Kroger stores, they are monitored to determine if there is a demand for the local items. If demand is apparent, then the products will be added to additional stores based on available shelf space, Terry said. “We are tagging local items in our stores and will be introducing new signage in stores to make it easier for our customers to identify locally made items,” Terry said. For more information about Kroger’s local selection, visit www.kroger.com/discoverfresh. Lynchburg City Manager Kimball Payne recently announced that he will be retiring after 15 years of service in his position. Previously, Payne worked as the County Administrator for Spotsylvania County and is a retired Naval Reserve Officer. His retirement date is set for June 30. “I have had the opportunity to work for elected officials who have shared a strong commitment to making the City a better place to live for all of its residents,” Payne said. During his time as City Manager, Payne has been passionate about downtown restoration and has been responsible for multiple community building initiatives. More than 60 girls who are survivors of sexual exploitation and human trafficking now have the opportunity to experience restoration and freedom thanks to the fundraising efforts of Liberty Christian Academy (LCA). For the fall semester, LCA partnered with Freedom 4/24, a local nonprofit committed to raising awareness of the sexual exploitation and human trafficking of women and children around the world. The organization also provides financial support to partner organizations dedicated to bringing freedom and doing justice. One of these organizations is Christine’s House, a safe house built and funded by Freedom 4/24 that provides housing, healthcare, counseling, and vocational training for victims of exploitation and trafficking in Uganda. LCA made a goal to raise $45,000 in the fall semester to cover a year’s worth of expenses for the residents and operations of Christine’s House. To accomplish this, athletic teams and extracurricular groups challenged each other on social media and students gave up Christmas gifts in exchange for donations, among other creative ideas and sacrifices, to reach $45,000. In January, 30 new girls were rescued and given shelter at Christine’s House, where they are now receiving treatment and training paid for by LCA in order to eventually be reintegrated successfully back into their communities. For more information on Freedom 4/24 and LCA, visit Freedom424.org and LCAbulldogs.com. Lynchburg City Schools (LCS) recently welcomed WoodmenLife Virginia-Lynchburg Chapter 7 to the school divisions list of Partners in Education. A ribbon-cutting ceremony was held to welcome the partnership on January 6 at T.C. Miller Elementary School for Innovation. This partnership will help provide support to LCS through free opportunities and programs that are offered through WoodmenLife, including the promotion of patriotism through the donations of flags and presentations and opportunities for students to increase learning experience in science through programs using a portable Star Lab, which is an inflatable Planetarium. Overbey, Hawkins & Wright is expanding its law firm with a new branch at 2225 Langhorne Road in Lynchburg and by adding Michael P. Lovell, Esq. and Robert B. Vogel, M.D., Esq. as counsel attorneys with the firm. Overbey, Hawkins & Wright’s mission in Central Virginia is to promote its clients’ emotional, physical, and financial so that they can resume living a healthy and fulfilling lifestyle. For more information, visit www.OverbeyLaw.com.